On the Brinton Museum grounds ready to paint. 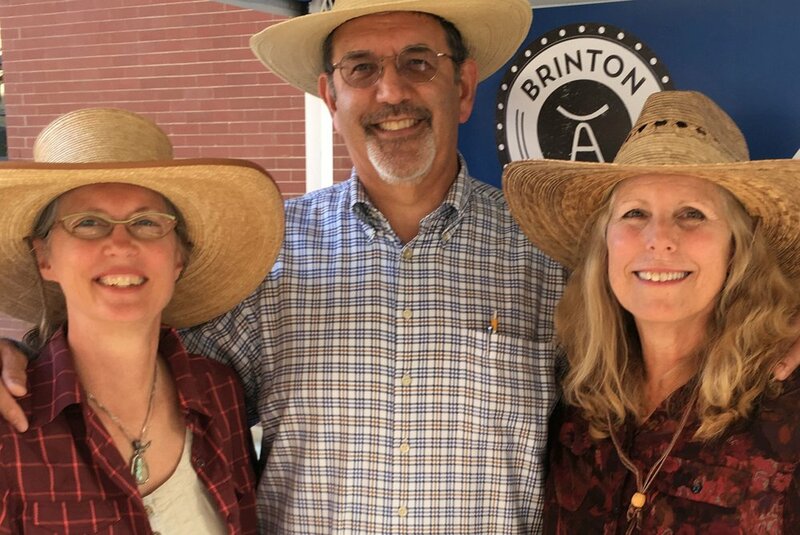 In September of 2018, I spent two weeks in Big Horn and Sheridan, Wyoming for an Artist Residency with the Brinton Museum. I traveled there, via Texas, New Mexico, Arizona, and Utah with friend and fellow painter, Terri Wells. Altogether, it was a month long trip, beginning with the Maynard Dixon Country show and event in Mt. Carmel, Utah. 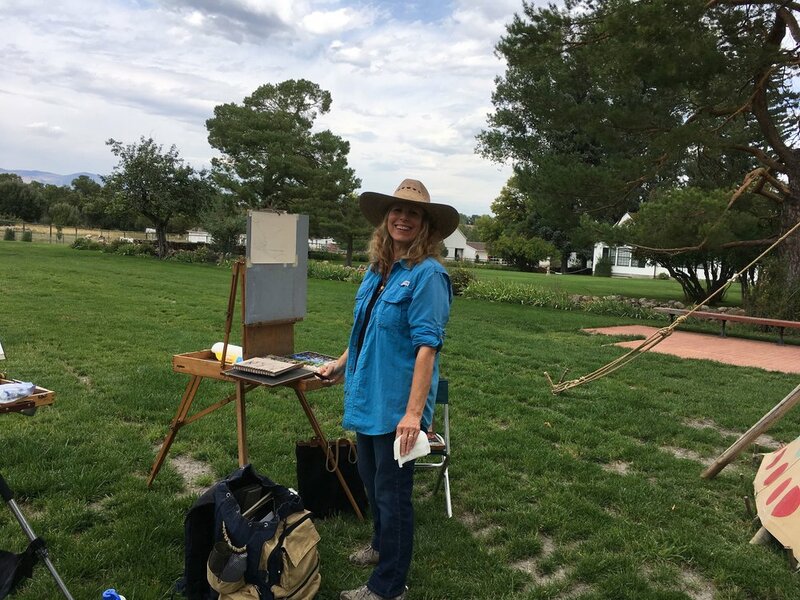 I participated in "Making Their Mark - Women Artists of the American West," a symposium about women artists from Maynard Dixon's time. Highlights from the trip included being graciously welcomed into the homes and studios of several artists in Utah and Wyoming, as we made our way to Big Horn. This September 7 - October 20, there will be a special exhibit of the 2018 Artist-In- Residence participants. I will be in attendance for the opening and teaching an outdoor painting workshop before the event. More posts to come! Painting in the Big Horns along the West Fork Big Goose Creek. At high point of the ranch where we stayed for two weeks. Thankful to the ranch foreman for the ride! In Sherdian we had to get a photo with Ken Schuster, Brinton museum director extraordinaire and our expert advisor/guide during our stay.